San Diego Botanic Gardens (formerly Quail Botanical Gardens) is a stunning botanical garden in San Diego County with a magnificent plant collection and strong interest in encouraging children to take an interest in plants, gardening, and nature. A visit to Quail Gardens can be a soothing retreat from our all too busy world and an inspiration to protect our precious planet and its great diversity of plant life. Come to one of my many scheduled lectures or visit my website at www.PatWelsh.com. I live in a small town overlooking the Pacific Ocean in Southern California. My garden is therefore in USDA Zone 10, Sunset Zone 24, and exists in a Mediterranean Climate. Plants that grow in the other four main Mediterranean climates around the world generally also thrive here. This gives us a huge and varied plant palette to work with and when you add many subtropicals and tropicals from mountainous and foothill areas in tropical zones, the number of plants becomes even greater. I have also gardened slightly inland from the coast in sunnier, less fogbound areas and for two years in the hot interior region of Southern California where winter temperatures dip below freezing and summer temperatures are hot and very dry. Much earlier I gardened in England and Pennsylvania. I have some knowledge also of climate conditions in Florida as compared to California. I grew up in a gardening family, have gardened since I was three years old, and have a photo to prove it. Growing up in England, I had the great privilege of spending much of my childhood outdoors in a great garden with many features such as walls with espaliered fruit trees, formal ponds, roses climbing over old statues, two orchards, a farm with farm animals and hay fields, and an extensive walled vegetable garden with several greenhouses. All this belonged to one of my grandfather's. My brother and I loved to follow around the head gardener whose name was Ivy. Ivy let us watch him working in the potting shed and greenhouses. I loved the smell of the compost and potting soil and picking fat gooseberries to eat and warm ripe tomatoes in one of the greenhouses. Helping people understand Southern California Gardening and all the plants that grow here and how to grow them, is my area of expertise. I am a graduate of Scripps College with a BA in English Literature, Humanities, and Art. I am a self-taught horticulturalist. I gained my knowledge first as a hands-on gardener, figuring out how to do things in my own garden and learning from wise older gardeners. When first living here I noticed how different gardening was here from gardening in cold-winter climates. I learned and secondly through study while I was a garden communicator of books such as Thomas Everett's 10 Volume set : The New York Botanical Garden Illustrated Encyclopedia of Horticulture, but mainly by interviewing experts. For my own joy, I love hearing about specific plants and plant varieties that are new to me, including their characteristics and peculiarities, their correct and common names, and their needs, either in cultivation or in the wild. There is such a huge diversity of plants in the world and so much to learn about them. Any information that increases my knowledge of specific plants interests me intensely. 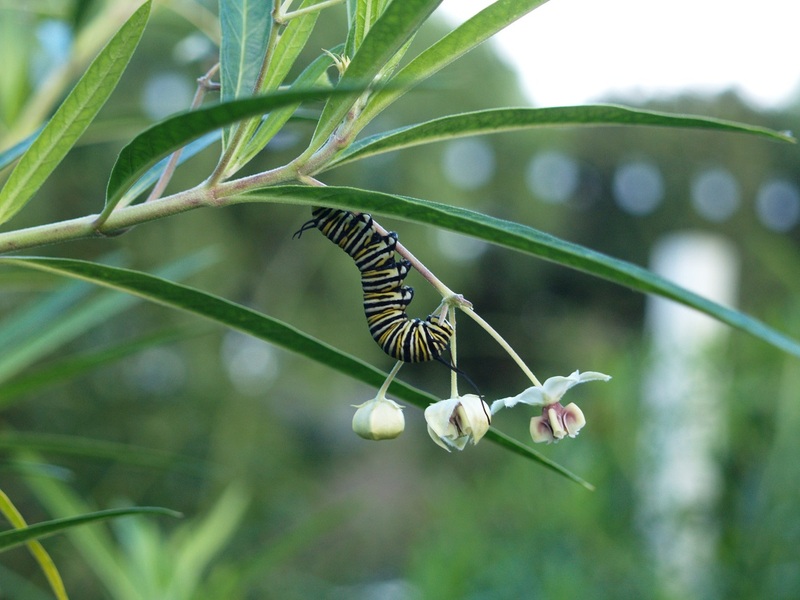 For my readers, viewers, and clients, my favorite topic is all about Mediterranean, subtropical, and Southwest plants: How and when to select, plant, feed, prune, water, and control pests. I want to talk about and teach everything that helps gardeners create a beautiful garden in this climate and then care for it sensibly and pleasurably. My pet peeve is anything that promotes English plants and English garden style in hot, dry American climates. I was born and raised in England, but I live in a Mediterranean climate, so I prefer to garden in a style appropriate to the region in which I live. In this climate I love romantic California-style gardens far better than English style gardens. Nonetheless, I think many fine local gardeners have the idea they are gardening in English style and if that makes them happy, why not? The best of them are actually growing California gardens and planting California plants. I never count the hours I spend gardening, but as I grow older they are fewer and fewer. My aches and pains make gardening less pleasure, but at they same time they increase the joy of being out in the garden while reading, eating al fresco meals, and just enjoying life outdoors. There was a time when I could not sit still in my garden because I saw so many jobs needing doing. Now I ignore those jobs and enjoy all the good parts the abundant birds,butterflies, and dragonflies; the plants in bloom, and the shapes of things. Sometimes I spend a whole day in the garden but more often it is spent painting, drawing, or visiting with friends than gardening. Creating, changing, and reshaping the garden was once my passion. Now simplifying the garden, living in it, and loving it has become my passion. My work schedule varies, but in general I find that unless I purposely carve out time for vacations and days off or make a point of choosing a day to run errands or be with family, I more or less fill up all the days with work. At times when I get a large consultation job or while writing a book I may spend 8 or 10 hours a day even 14 hours at the job of garden communication. The only way for me to get a book finished is to pour myself into it night and day. Sometimes people ask me how do you find time for writing books? The answer is by neglecting everything else. Think of this: Giving a talk for a garden club or other group usually takes a whole day when you count loading the car, driving to the location, driving home, and unloading again. There is also the whole job of photography. It may take a week or more of 8- or 10-hour days to take the photos, categorize, arrange the slides, and write a handout. But once a slide show is created, it usually works for more than one audience. These jobs tend to be seasonal. Then there may be a gap. One needs to really love this work to keep on doing it. The Del Mar Garden Club, The San Diego Horticultural Society, The San Diego Floral Society, The Master Gardeners of San Diego (Honorary Member), The American Horticultural Society, The Garden Writers of America, The Larabee Society of Quail Gardens, the Plein Air Painters of Southern California, and others. The beauty and the atmosphere of a truly romantic garden is what I like best. When I was young I loved the creativity of gardening. What gave me the most joy was the excitement of creation and the vision in my head that I was always reaching to attain. Now that I've reached a different stage of life, I'm just there in the garden and loving it the way it is. This seems to be a deeper joy because the beauty I am enjoying is here and now, rather than a passionate yearning for something out there that I might never reach. When the irrigation system breaks down or springs a leak, water is running onto the street or simply down into the ground, and I have to find someone to come fix it. As a young child in England, I lived in my grandfather's large house called Hoyle Court that had a great garden overlooking the Yorkshire moors. The garden included orchards, vegetable garden, greenhouses, formal lawns, terraces, herbaceous beds, ponds, a bluebell wood, and statues dripping with climbing roses. It was a paradise for my brother and me, and better yet there was a wonderful old head gardener, called Viney, who would let us watch him in the potting shed. It was while watching Viney work and then seeing the results that I first developed a love of gardening. Next in line is my stepfather, Geoffrey Morris, a half-crazy, eccentric guy, a difficult man, but an avid gardener. In winter, when I was about 11 years old and my brother John was 14 Geoff announced that he would give each of us a little garden plot of our own. On our farm in Bucks County Pennsylvania, we always had to work in Geoff's big vegetable garden, but now we each had our own space to dream about that winter, to order seeds for, and then to plant in whatever way we wished. 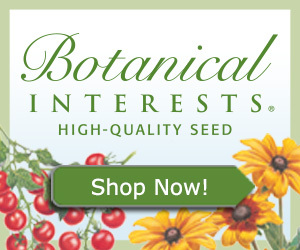 John and I spent all winter poring through seed catalogs and planning the impending glory of our future gardens. With great anticipation we sent for seeds. In spring we dug and prepared the soil, but not as well as we should have done. We planted our seeds with great hope in our heart, but as summer progressed we forgot to water and weed and failed to do all the other things that Geoff did to his garden and that we should have done to keep our gardens growing. It didn't matter. The joy of looking through the seed catalogues in winter and choosing what to grow is what stuck. The whole avid bit of loving the plants even when they weren't there yet, got under my skin and John's too. We were both hooked for life. The third influence was Manchester Boddy. When I'd been married for 5 years, my husband Lou and I built our home in Del Mar, California. My husband's step-father, John Lloyd Wright, son of Frank Lloyd Wright, designed it. One of John's architectural clients was Manchester Boddy, Founder and Publisher of the Los Angeles Daily News and one of the founders of the All America Rose Association. Manchester (or Chester, as we called him) was a great camellia hybridizer, a developer of new ceonothus varieties, and owner and founder of Descanso Gardens. Fortunately, we had many opportunities to be together. Chester saw something in me, and took me under his wing. He always asked my in-laws if he could sit next to me at mealtimes, and he talked to me incessantly about all the things he was doing and had done. Most of it had to do with his passion for plants. He influenced me to love the things that grew well here in Southern California. He told me to put my love of writing together with my love of gardening and urged me to become a garden writer. It took many years for that to happen, but eventually it did. Once I did what Chester had suggested my career took off. I became a magazine editor, a successful TV performer, an author, public speaker, and gardening consultant. Everything was connected with plants, and it all seemed to happen by accident. Many years went by, Chester and his wife Bea passed away, and then once when I was making a garden video in Los Angeles for Better Homes and Gardens Magazine, I found that the producers of my show had chosen as a set a plot of ground in Descanso Gardens that was smack dab in front of the house where Chester and Bea Boddy had once lived. I felt that Manchester Boddy was still watching out for me and giving me help and advice. My favorite spot is a secluded rose arbor at the very bottom of my garden where I have my lunch. It has a hedge behind it, a bench under it with pillows for comfort. Two Chinese ceramic elephant seats, one on each end of the bench hold one's iced tea or whatever, and there is a lovely view up the hill towards the wisteria and climbing roses. I guess you could say this spot has "good vibes." It also is a choice place for visiting with friends, and many a glass of champagne has been enjoyed there. My second most favorite place is the 20-foot-long pergola nearby with a Lady Banks' rose over it and a long trestle table under it surrounded by 14 chairs. This is a great spot for al fresco meals, with room for the whole family; it's like being in Italy. And my third favorite is the upper patio. When friends come to paint, this is where they set up their easles. Hanging baskets of fuchsias swing overhead and in the distance is a glimpse of the sea. The studio in which I am now writing opens wide with French doors onto this patio, so in a sense I am always in my garden even when I am working. I love evening when the setting sun floods the upper patio and bathes walls, trellises, wisterias, bougainvillea, and hanging baskets with glorious, pink-tinged golden light. If ever I return from a trip and happen upon the patio at that hour and see it flooded with light in that way, then I think this is a lovelier spot than all those places in the world that I have traveled so far to see. My favorite public garden is Stourhead, near Bath, in southern England, but it has to be seen when the rhododendrons are in bloom. When they are in bloom and reflecting into the ponds, one cannot imagine a more spectacular garden. In June Stourhead is sheer heaven with its lovely gray-stone, grass-carpeted bridge across the water, its several Grecian-style temples dotted here and there on the grassy hills, its dove tree with the drooping white flowers like so many lost handkerchiefs, and masses of pink rhododendrons in bloom against old gray walls that shine against the lush background of green trees. All this carefully arranged color is reflected in the calm waters of elegantly shaped ponds that run down the center of the vast garden. The effect is a living dream that one walks through with the thought, "Can this be real?" Blue, but I wouldn't want to use blue alone. I like splashes of blue with pink, white and yellow. On the other hand, I love the red bougainvillea as I see it now all back-lit in the sun. And I do adore my salmon rose, America, when it is at its best in spring. And how about the purple of Princess flower (Tibouchina urvilleana)? What wonderful color purple is in the garden. Oh, for goodness sakes, have no favorite garden color! I love them all when they are well placed and elegantly arranged, and that includes orange. Orange with gray or orange with blue just think of California poppies mixed with blue lupines. What could be better than that? I just mentioned Princess Flower. (Tibouchina urvilleana) so why not that one? I love it and would love to grow it, but it needs acid soil and loads of water, neither of which can I provide to its satisfaction. In my sandy soil I have tried again and again and failed to make it happy. I like to garden in 9- or 10-inch length, light-weight, khaki shorts, sort-sleeve shirt, or in winter, long sleeves rolled up, and a light-weight khaki vest to carry my dark glasses and whatever else I need. If it's sunny I wear a broad-brimmed Panama hat. My favorite hat has a fabric crown and wide Panama brim. Color wise, it doesn't matter, but if there are mosquitoes around, they are attracted to the darks, so I try to keep the colors light. Garden for yourself, your family, and your friends, not for people on the outside. If we worry too much about what people will think, we cannot enjoy the garden. The garden is for joy not for fretting over. My advice is don't ever let the garden become so big or demanding that you lose your freedom to enjoy it. Gardening can become an obsession, which is not a totally bad thing as long as it doesn't lead to unhappiness. My favorite garden personality is no longer alive. I loved Christopher Lloyd because he was a real character and always said something original and fun. We agreed on something which was we liked big splashes of color in the garden. We both liked big drifts and lots of excitement. I once stayed with Christo in his home Great Dixter and took one of my five grandchildren with me, whom he loved, and that is a precious memory. I slept in the bed in which he was born and almost got stuck in his enormous Victorian bathtub and thought I would never get out. The two of us drank a whole bottle of champagne every day before lunch, and he would say "Drink up! Drink up!" which was too much for me. He slept it off on the couch after lunch while I painted the worst watercolors I have ever done. "No. If you don't love it; why do it?" "If you have a purple thumb, there's nothing you can do about it, and for you every plant will die." A purple thumb is not an incurable disease. A purple thumb can be transformed into a green one. A purple thumb is the result of not knowing what to do or how to do it. It's also true, however, that a purple thumb may result from the person who has one really and truly not liking to do the things that must be done to make plants grow. As long as this is the case, his or her purple thumb will remain purple. Southern California gardeners are the ones who benefit most, especially those who never had the chance to learn gardening as kids. People who gardened elsewhere in the USA or in another country all their lives and then move here often tell me how much my month-by-month book helps them. They found it in a book store, and from then on their problems were over.